The Canna Terra Nutrient Kit contains a complete set of nutrients for growing in soil. 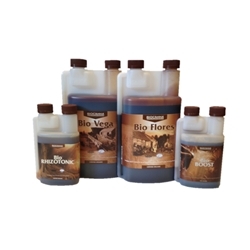 We have handpicked the best combination of nutrients you will need to successfully feed your plants and supply them with a balanced range of nutrients and stimulants. Depending on the kit you choose we offer different varieties and products. 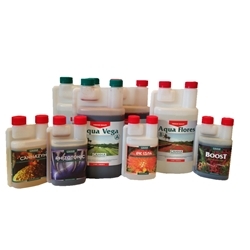 Each kit offers the base feeds that will support your plants through the vegetative and flowering stages. 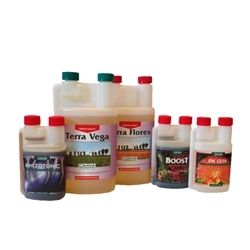 In addition, we supply a bottle of Boost formula which can be used in any growing system. Boost accelerates the metabolism of your plants nutrient uptake. Finally we include a Root stimulant essential for producing strong roots speeding up growth as well improving unhealthy or poorly developed plants. 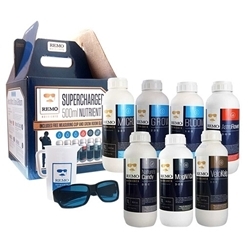 When you buy our nutrient kits you will also save 10% which beats buying them separately.